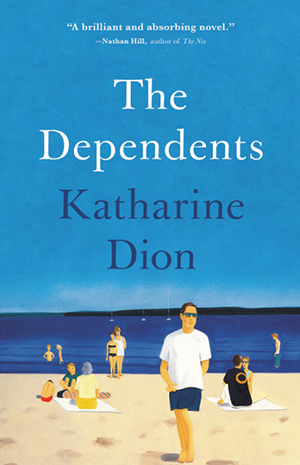 The following is from Katharine Dion's debut novel, The Dependents. After the death of his wife, Gene is lost in memory, concerned that their marriage wasn't as happy as he remembered. Katharine Dion is a graduate of the Iowa Writers’ Workshop, where she received the Iowa Arts Fellowship. His wife had died in June and there was to be a memorial service for her in two weeks, at the end of the summer. Gene’s daughter had come out from California with his granddaughter to help make the arrangements, and he found himself dismayed by his general helplessness, which was not exactly the same as resenting what his daughter did for him, but the feelings existed along the same continuum. He hadn’t been able to find his swim trunks that morning, so he was wearing a pair of pants Dary had chopped off at the knee. She had cut them unevenly and the left side hung lower than the right, in a skew of brown corduroy fringe dampened by sweat against his slack thigh. Now Annie was playing down the beach with a group of boys and girls who were still unselfconscious about being a group of boys and girls who played with one another. Dary had gone to get her because they were going to meet the Donnellys at the miniature golf course. He had little interest in miniature golf, but as long as his daughter was in town it seemed that he was a type of appendage to her, expected to go where she went unless she made other arrangements for him. He had promised to meet up with his daughter and granddaughter later, and they had left him behind with their towels thinned by too much washing and a single glass jug filled with what was now very warm water. The beach was crowded, a cluttered heap of pink skin, chipped toenail polish, ice chests, crumpled tin foil, silver cans wearing coats of sand halfway up their sides, shovels and buckets in primary colors, and striped umbrellas that stammered in the uncool breeze. A group of teenage girls had established a colony nearby. They were arrayed on their stomachs in a line surrounded by the incredible amount of stuff that had come out of their bags, the water bottles, energy bars, sun lotions, women’s magazines, hairbrushes, inflatable pillows, diet sodas, reed mats, and radios. At times they would roll over each other like seals to point out something in one of the magazines, and from them arose a collective shriek that he vaguely recognized as a form of laughter. Not far from them a good-looking youngish man with bronzed forearms was helping a little girl build a sandcastle with multiple towers and walkways. Whenever the man did something that pleased the little girl, she cried out, “Mommy, look what Roy did!” Then a woman sitting just beyond them with a puppy in her lap would gaze up at Roy with an expression of complete contentment, and she would lift the pudding-fleshed puppy so it too could gaze on Roy with dumb bliss. She was older than Roy but aggressively attractive; her swimsuit squished the tops of her breasts into little meat pies above the elastic. It was difficult to tell how long she and Roy had been together, and whether he had been inaugurated already into a fatherly role or was merely auditioning. Gene’s interest in other people lay primarily in the mystery of their happiness. Happy children, happy parents tending happy children and small animals—had they always been such evangelists of joy? He now reserved a special kind of misery for the sight of a happy couple. 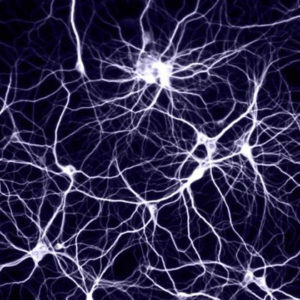 This particular human configuration seemed to have been invented to draw out the despair in everyone else. A scrum of ball-playing men moved up and down the beach, spreading out and coalescing an expansive territory. You could smell them before they passed by and again afterward, a mass of warm air cabbagey with sweat. Even men who didn’t play sports in their regular lives, the ones with the narrow bony chests white as the bite inside a pickle—even they would play with a ball at the beach. Every now and then, when they stampeded across a blanket, some lifeguard would stand up and bullhorn about it. When Gene was in college the lifeguards on this beach had been lazy party boys, scornful of enforcing rules made by somebody else, especially the state of New Hampshire. On their breaks they smoked cigarettes and sipped beer from bottles in paper bags. But something had changed. Now the beach seemed part of a larger state public service effort to deliver a serious message about health and safety. Last summer, a mobile health clinic had been stationed in the parking lot and to get to the beach you had to pass cheerful volunteers in matching T-shirts, handing out flyers promising various free screenings. It had been one of the last memorable fights between him and Maida, a fight that began when one of the volunteers asked if she could give them a flyer and Maida said yes and he said no. Maida took the flyer and read aloud about the screenings as they stumped over the dunes and he was aware of the way his No had sharpened her Yes, had made it oppositional. “They’re free,” Maida said. “Why not?” But nothing was free and he said so. Now he picked his way down to the water through a maze of blankets, discarded cups, and scavenger birds. Airy tangles of dark seaweed crisped by the sun nested in the indentations in the sand, trapping small bits of litter, froth, and shells—mostly surf clams but also some mussels. When he was ten years old, the year his father died, Gene had gone to the beach for a week with his father’s family—the French-speaking aunts, uncles, and cousins who came from the same small town in Canada—and his cousins had told him the secret that if you held a seashell to your ear, the ocean would speak to you. All that week he collected horse mussels, dog winkles, and moon snails, and after he had rinsed them off he tested each one, thinking that if he found the right tiny, smooth, hollowed-out body and held it to his ear, he might hear instead of the cry of the ocean, the voice of his father. It astonished him that even now, more than sixty years later, he couldn’t see a seashell without experiencing the flicker of an urge to pick it up, in case the shell was the one that would return his father to him. A woman in a sun hat and slacks sauntered toward him along the edge of the surf. Some aspect of her gait triggered a flash of recognition, and the seas inside his cells rose in response. For a fleeting moment the woman was Maida. But when she came nearer, the illusion was shattered. Her face, her expression, was wrong, and she was round in the places where Maida was trim. Yet even after the illusion had been dispelled there remained in him a reckless hope that his wife was alive somewhere, that the person who had died in the hospital wasn’t her, and that the real Maida was making her way back to him somehow. There were things he hadn’t told her. Like how a week after their fight about the free screenings he had gone back to the mobile health clinic. He wanted to say he had gone back out of devotion to her, out of the kind of love that is a radical openness to someone else’s ideas, but the truth was closer to something like superstition. After you had talked so much about the idea that there might be something wrong with you, it took on a fatalistic dimension. On some level he believed that if he emphatically refused the screenings, the universe would punish him. He went back for the free blood-pressure and diabetes screenings, and then—because the frowning stethoscoping doctor recommended it—he paid for an EKG that revealed an irregular heart rhythm. Except the doctor wouldn’t tell him what was wrong with him and would recommend only that he see his regular doctor. But by the time the appointment with Dr. Fornier came around, Gene was having trouble with his ankles, and he was relieved to allow this to become the all-consuming problem. There were also things he hadn’t asked Maida. Like if it had been, on the whole, a happy life. He didn’t mean the outward life, but the life within the life. The tucked-away life, secret even to oneself most of the time. Had it been happy enough? A wave, leaping out of nowhere, crashed against his feet. The water coursed over the tops of his shoes, penetrating the webbing. He waded in and the chill grabbed at his corduroys. His body convulsed in the strange liquid way it always did when the water approached his navel. There were people who told him his grief would diminish, but he didn’t believe them. That his father’s death was still an experience reverberating inside him after all these years suggested that the distance a person traveled from death was just along a circle, and all it took was one new loss to show you that you were still traveling the same line. Only now he was older and more broken down and less able to absorb the devastation. Because there was only so much room inside the body to accommodate all the deaths you had to accommodate to go on living. A wave flung toward him and broke against his chest, splashing water in his face. He tasted the blunt gift of its salt, the roughness cutting into his nose and mouth. Then the ocean reeled back, spinning, a membrane pulled in every direction, sucked low and flat by a deep inner drain. No couple had played a more important role in his and Maida’s lives than Ed and Gayle Donnelly. The two families had vacationed together for years at White Pine Camp, the Donnellys’ property on Fisher Lake, and they had been initiated together in the summer rituals of family happiness—swimming, boating, fishing, birding, croquet, card games, night swimming. On these trips they had shared responsibility for sick children, mosquito-bitten children, and plain old whiny children. The handed-down clothing and baby items had traveled both ways between the families. Dary, born just over a year after Ed and Gayle’s oldest, spent much of her first year outfitted in Brian Donnelly’s old clothes. Later, the two younger Donnelly boys, Michael and Colin, inherited the best of Dary’s toys. And just as there was a key to the Ashes’ house in the top drawer of the Donnellys’ secretary (beside the roll of Charles Demuth stamps and the mother-of-pearl letter opener), there were keys to the Donnelly homes in the Ashes’ front closet in the pocket of an oversize men’s coat, the circumstances of whose acquisition no one could recall. Sometimes to outsiders the Ashes and Donnellys gave the impression that each family was an extension of the other, and in moments of crisis they tended to rely on each other without waiting for an invitation. The first weeks after Maida’s death, Ed and Gayle had often appeared whenever Gene needed a competent stand-in. Gayle quietly went about concluding Maida’s institutional relationships in the world. She returned library books, transferred memberships to Gene’s name, canceled automatic payments to the gym he had never gone to, and generally handled the things he would have never remembered to do, though somehow it would have drained him to have left them undone. Ed kept the infrastructure around the house in working order. He took Gene’s car to be serviced when it was supposed to be and got an estimate for the repairs to the roof. He replaced the refrigerator the same day it discharged a foul-smelling puddle under the freezer drawer during a heat wave. By the afternoon the floor was clean and dry and the new model was restocked with everything from the old one, plus some nice beer and cold cuts that hadn’t been there before. All this generosity from his friends should have inspired more tenderness in him, and it puzzled him that instead of gratitude he often felt something closer to irritation. It was mostly Ed who aroused it in him, though Gene knew his friend was just trying to be helpful. But the more his irritation grew, the guiltier he felt, with the result that often he found himself balking at some proposed kindness that was in his best interest, or he would be late to some engagement his friends had arranged on his behalf. As he was now late to meet them at the miniature golf course, having waited past the reasonable moment to heave himself out of the ocean. The course was across the street and down the block, not far from the band shell where free summer concerts were held. He had expected the boardwalk to have emptied in the midday heat, but it was as crowded as the beach and dense with oiled bodies jogging and strolling and lolling at the rail. He had never gotten entirely accustomed to it, the sight of women walking down the street in nothing but bathing suits, the initial shock not from seeing so much flesh but from thinking that here was a person who had forgotten to wear clothes. A tanned bride-to-be in a ruffly white bikini, tiara, and sash announcing her bachelorette status posed for a photo, flanked by a group of equally tanned bikini-clad women, none of whom looked like they needed another minute in the sun. A large muscular man wearing an airbrushed T-shirt depicting a woman with obscenely large breasts was accompanied by a woman half his size wearing an identical shirt. In front of the penny arcades, everyone seemed to be eating something: three scoops in a waffle cone, or fried dough, or steaming slices of pizza served on doubled paper plates. The seafood restaurant that served the same food under a new name still had a twenty-foot blue marlin surging from the roof. A teenage boy wearing a sandwich board shaped like a piano handed him a flyer for a bar with private karaoke rooms. There was more than one miniature golf course on the strip, but only one had a pirate theme. A skeleton missing a hand greeted him at the entrance, and the attendant offered him a complimentary paper visor with a skull and crossbones, which he declined. There was no good shortcut through the course, so he simply walked the holes in order, passing entire parties in the skull-and-crossbones visors. There was a hole that had to be played through a shipwrecked boat; another that required hitting the ball through an enormous skull; another that skirted the tentacles of a monster squid. He crossed a wooden bridge and found his family putting next to a waterfall, groundwater tumbling down beige plastic rocks. His granddaughter handed him a bright orange ball. He kissed Gayle hello on the cheek and asked what he had missed. “Ed’s threatening to sell White Pine Camp,” Dary said. “Not until we’re all dead,” said Gayle. “It’s the kids’ fault,” Gene said. “Not just for them,” Gayle said. “Just mostly,” Ed said with a wry, disdainful smile. “You’ll regret it if you sell,” Gene promised. “It’s that deep lake smell, isn’t it?” Gayle said wistfully. “It makes everything all right.” She went to the tee and played her turn, a solid if unremarkable hit. There was some speculation from Ed about whether she could have done better if she hadn’t been chatting (the Ashes abstained from this conversation), and before long Gene found himself hitting the orange ball up a ramp and over a waterway. He thought he had hit it with good power, but it plunked into the water. Ed stepped up to take his turn. He was a tall man, over six feet, and the putter looked too small for him. In the last decade he’d lost some muscle but he still projected an aura of good health, the leftovers of a lifetime of exercising every day. For years he had tried and failed to persuade Gene to get up with him at five a.m. to run along the river, a circuit that ended at a coffee shop where a group of sedentary retirees greeted him reverentially. Now he hit the ball with a swift, precise stroke. It cleared the waterway and came to rest about a foot from the hole. “See if you can do any better,” he taunted Dary. She played her turn. Her ball cleared the waterway easily and rolled to a stop between Ed’s ball and the hole. “Are you talking about the time Mom saw the pony?” Annie said. In the end, Ed told the story. It took place when Dary was not quite a teenager and Michael and Colin were still little boys. One day Ed had driven with the kids out into the country, looking for a miniature golf course they had heard about. It turned out to be a run-down farm that the owners had attempted to convert into a tourist attraction, a strange little place with a hay-bale maze and a rudimentary nine-hole course that was open only during the summers. There was also a small, derelict petting zoo on the grounds—the kind of place, Ed said, that had been developed with more attention to the billboards than the paddocks for the animals. One of the penned-up animals was a very forlorn-looking pony. Its coat was slick with gelatinous gray patches, as if something under its skin was rotting, and there was a horn affixed to the center of its forehead, which had become partially unstuck. The pony began stamping and thrusting, twisting violently in an effort to throw it off. This terrified young Michael and Colin. Ed was making an effort to redirect their attention when without any warning Dary reached over the fence and tore off the pony’s horn, ripping off some of its skin along with it. The animal bared its teeth and brayed malevolently at them. Where the horn had been stuck to its head, little orbs of yellow pus started to spring up on a wound. Ed ordered everyone back into the car. “But that’s just it—it wasn’t,” Dary said. “Not in the end.” She told them how in the car on the way home, Ed had talked about how good intentions sometimes have unpredictable consequences. He reassured her this wasn’t her fault. Someone changed the topic, and the game resumed. Ed and Gayle were taking Annie and their son Colin’s daughters camping over the weekend, and there was some talk among the adults about what preparations remained for the trip and whether the mosquitoes were likely to be bad that year. Gene didn’t hear the rest of it. His mind veered away, drawn back to an aspect of Ed’s story he couldn’t explain. He was still thinking about the wretched pony, how it had existed for the others for a very long time. Had Maida known about it? If the others knew, it seemed likely she did too. But then why had she never mentioned it to him? On the way home the Ashes stopped in Wheeler, a seaside village with unpretentious shops and restaurants, the same attractions that had drawn Gene and Maida to it for their honeymoon half a lifetime ago. Annie wanted Dary to buy her a souvenir, a novelty T-shirt or maybe a ceramic figurine of leaping dolphins. While they were inspecting trinkets in a shop, Gene told them he was going down the road to see something and would be back in a bit. “Don’t forget,” Dary called after him. “I know where the car is,” he said. “I mean to come back,” she said. He walked down the row of shops with their sun-bleached signs and casual disarray just inside the door, the retail spaces dense with racks of brightly colored swimsuits and beachy sarongs, and sometimes a wall covered with what was now called “active” footwear. The little shops all looked like a variation of one another, which maybe in some counterintuitive way helped explain their survival. If the town was to be redesigned, it would never have five versions of the same shop, and maybe not even one survivor from among the current contenders. But there was something inherently charming, almost calming, about pausing in front of the Beach Stop or Seagull Alley or Wave Haven and knowing before you walked through the door that somewhere inside there would be a towel blazoned with an orange-to-pink sunset and a marked-down bodyboard in soft blue foam. He hoped these shops would go on surviving forever, in part because his memory of the town depended on them. He walked on, passing a bar where happy hour began at 11 a.m. and ended at 6 p.m. every day of the summer. Two teenage girls standing on the street corner were selling melons from the back of a dusty pickup they didn’t look old enough to drive. A convenience store advertised the sale of “ice cold Ice.” After three blocks the commercial strip dwindled and ceded to bushes and shrubs marking property lines. The sidewalk disappeared, leaving him beside the road in a gully sprinkled with gravel and strips of old tire jerky. He turned down a gravel drive, and there was a boy in a dun-colored uniform coming the other direction carrying a bicycle over his shoulder. The way he carried it seemed to rob the frame of any weight, and this same quality of weightlessness was borne into his body as he mounted the bicycle in the street. He didn’t appear to jump and throw his leg over it so much as resume his natural form. The boy’s figure grew small against the row of bushes. It was beautiful how from a distance his legs seemed to become part of the bicycle, as if he was spinning his own disappearance, a boy creating a rent in the horizon with that steady, circling motion of the wheels that were also his legs. A nick of silver, a smudge of air—then the boy was free, on the other side of the visible world. Gene couldn’t say why it moved him. And yet there it was, the swollen feeling in his chest. This too was grief and it was this infusion of it, even more than the suffering, that made the experience of sorrow a kind of madness. Why this freak susceptibility to ordinary dull occurrences suddenly revealing themselves as the world’s valentine to itself, the splendor tossed off so casually it made you feel that incidental, unwarranted gorgeousness was actually the hidden power of the universe? Why the avian commotion in his chest? The sheer rawness of his senses didn’t explain it. He couldn’t understand why, in the midst of feeling it might be desirable to die, the splintering of the air in the late afternoon by a boy on a bicycle could exist as a complete joy. Each time he had narrowed it down, saying grief was this or that, it sent him a flock of birds in his chest. He crossed an island of shaggy grass that diverted cars onto a crescent of gravel running along the front of the Sandpiper Inn, a two-story white clapboard that wasn’t overly maintained. The shutters were lopsided, the porch sagged, and the seat cushions on the porch rocking chairs had faded to a colorlessness that conveyed rustic charm. There was a restaurant on the first floor and during their honeymoon the smell of frying grease in the mornings had overpowered the sea air and clung to the linens. The cottages, with quaint names like Eagle’s Lookout, Plover’s Perch, and Crane’s Cranny, fanned out behind the inn along a winding boardwalk. Gene recalled that the path led to a small gray beach craggy with jagged rocks. He still remembered the clerk who had checked them in after the wedding. The reception had taken place in the backyard of the house belonging to Maida’s uncle. With the exception of a few friends, most of the guests were family and the party had the stifling atmosphere of a family occasion. When Ed cued “Earth Angel,” the song Gene had picked out for this moment, he was too uncomfortable to dance with his bride in front of his family and hers, and they had only held hands and looked at each other, smiling stupidly, until the Penguins cooed their last note. Having escaped the party at the earliest possible moment, they arrived at the inn giggly and breathless, and the boy at the front desk—he was a young man, really, jocular and handsome—had checked them in with a knowing half-smile. Gene in his nervousness got confused about whether he was supposed to pay for the room before or after, and the boy said, “After what?” with a smirk. As Gene fumbled first with his checkbook and then with the pen, Maida started a conversation with the boy about the tattoo on his arm. It was a kind of mermaid, a buxom woman naked from the waist up with a green fish’s tail, and as they talked, a teasing rapport sprang up between them. When Gene looked up, the clerk was lifting his shirt to show Maida how the tattoo continued around his torso. The end of the tail was buried in his pants, and for a moment Gene wondered if he was going to take these off too. Suddenly his head felt stuffy and his throat burned. But just as he thought he might have to sit down, Maida slipped her hand into his and gave it a squeeze. Then he understood she was entertaining the boy’s story as a sideways flirtation with him. It was a kind of performance to excite him for what was about to happen between them in the cottage. Now in the humid office of the inn, with the late-afternoon sun streaming through the blinds, Gene explained to the woman behind the desk his connection to Cottage No. 5, the Pelican’s Nest. He asked if he might pop his head in and take a look around. She told him there was some work being done on the plumbing, but if he didn’t mind that, the cottage was unlocked and he should go ahead. Some mud-streaked towels lay on the floor but the cottage was empty. It was as simple as he remembered it. The windows had no glass, only screens, and if you wanted to shutter them you had to do it from the outside by releasing the hook-and-eye closure that kept the hinged boards from flopping down in the wind. The single room was adjoined by a closet-sized bathroom lacking a tub, and both the walls and the floor were painted a watery coat of white that the knotty pine showed through. The mattress on the full-size bed wasn’t very firm and when he sat down he sank until it seemed his tailbone would connect with the box spring. How strange those first hours of marriage were! There had been the rush to put miles between them and the wedding guests in Colton. But alone in the cottage the demented urgency he had felt in the car evaporated. Somehow having what he wanted within reach—not only within reach but expected—dampened his desire. For several long minutes they sat on the bed wordlessly holding hands. Maida was wearing a white satin top overlaid with lace and her mother had braided matching white ribbons into her hair. Her expression took refuge behind all this ceremonial white. He realized he would have to be the one to take responsibility for their loving. Already he had been intimate with her mouth, her breasts, her stomach, her inner thighs, and two days before the wedding he had reached his hand inside her. In response, she had wriggled around in an accommodating way. She had also tried to bring him to pleasure using her hands and been almost successful. But in the end he had to help her, because their rhythm was off. In the cottage she closed her eyes when he touched her and this was a relief, the potential for awkwardness somehow halved if it was only felt but not seen. To surmount his own sense of absurdity, the absurdity that so much courtship and ceremony came down to this, he found it easier to concentrate on her pleasure rather than his own. She was quiet and acquiescent, and her silence roused him to more frantic activity. He imagined motors in his hands, small motors under his tongue, and he told himself he couldn’t stop until she cried out in pleasure. But she remained virtually soundless, her quiet absorbing not only any sound she might have made but also his grunts and whimpers. He had no idea that he would feel so alone. But later, drifting in and out of the balmiest sleep, he wondered in a kind of rapture what exactly had taken place. There were various names for what had transpired between them and none of them was satisfying. None of them explained why his tenderness for her had enlarged when it was already full, or why his innermost life felt more deeply bound up with the woman sleeping next to him. From The Dependents. Used with permission of Little, Brown and Company. Copyright © 2018 by Katharine Dion.